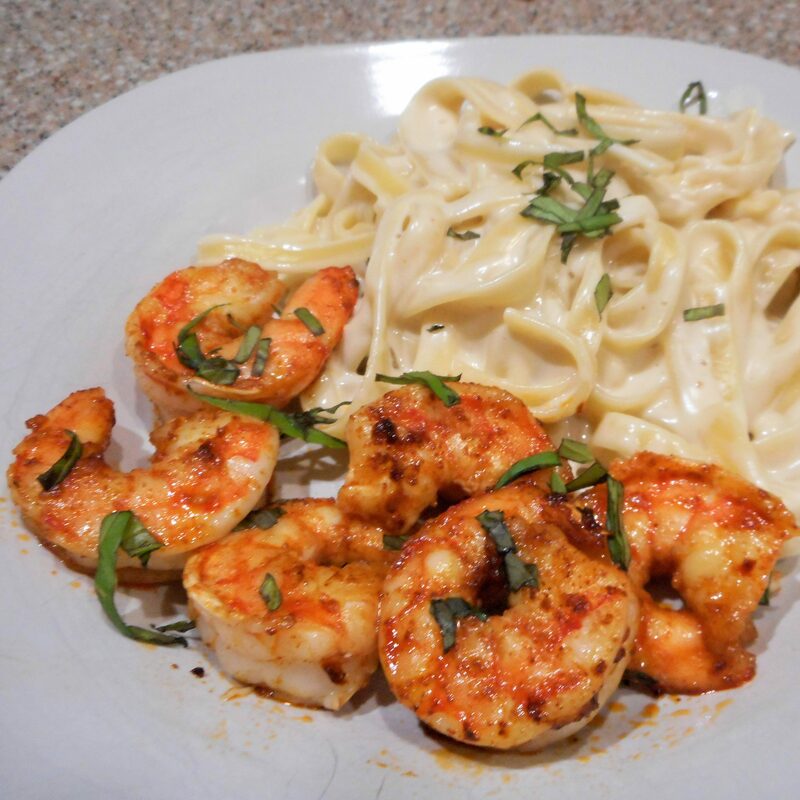 This quick preparation of shrimp pan-fried with garlic, red pepper flakes, lemon juice, and basil goes with any of a number of meal accompaniments. I like to serve it with fettucini in Lite Alfredo Sauce. 1. Heat the oil in a large skillet over high heat. Cook and stir the garlic in the oil just until fragrant. Do not allow the garlic to brown. 2. Sprinkle the red pepper flakes and paprika into the oil. Add the shrimp and toss to coat. 3. Pour the lemon juice over the shrimp and allow to cook until the shrimp are bright pink on the outside and the meat is no longer transparent in the center, 1 to 2 minutes more. 4. Reduce heat to low, add the basil and toss lightly. Season with salt and pepper to serve.